Greenhousers and polytunnelers are sharing. The rest of us are following and dreaming! I've been struggling with the decision to get a greenhouse for a loooong time. I've been looking into different types of polytunnels and greenhouses, but have had a hard time trying to place a huge tunnel in my garden. Today I finally decided what type of greenhouse to get, and I also placed the order! I'm so excited! - Polytunnel functionality rather than "greenhouse beauty"
- Practical, with ventilation possibilities etc. It's 2,44x2,44 meters and it was really the squared measurements that made it possible for me to place it in my garden in a good way (with doors facing the garden instead of just a corner). I will start the ground work this weekend, and hopefully I will get it delivered and get it together within the next 2 weeks. What do you think? I will get back with reviews, updates and info on how it will meet my expectations. I've started the greenhouse foundation today. Since it's not a glass greenhouse, but more of a poly tunnel I think that it will be fine to use wood instead of concrete for the foundation. Still, it's a light weight greenhouse, so I really wanted to make sure that it gets properly attached. That's all I can do for now.. Hopefully the greenhouse will be delivered before next weekend. The greenhouse was delivered and we've been working on it this weekend. Spent about 6 hours putting it together, and then about one day extra to paint and build the grow beds in the greenhouse. Starting the interior today. Got some left over flooring bricks from a friend. Perfect! Still some work to do, but starting to look good! There is still some work to do, like building the middle bed and finding enough soil to fill the beds up. Excellent work! Looks great! What do you plan on growing in it? Thank you! :) I'm planning right now. It will probably be Tomatoes, Cucumbers and some Chilli plants. Maybe Eggplant and Melon. And Artichoke! I need to try artichoke! All beds are now in place. First to move into the tunnel: Tomatoes! Totally I moved 20 Tomato Plants from the Basement and to the tunnel. Moved some more stuff to the greenhouse a few days ago. This is amazing! Where did you get the greenhouse? I love it! You really put a lot of work into this project and it is all going to pay off at the dinner table!! 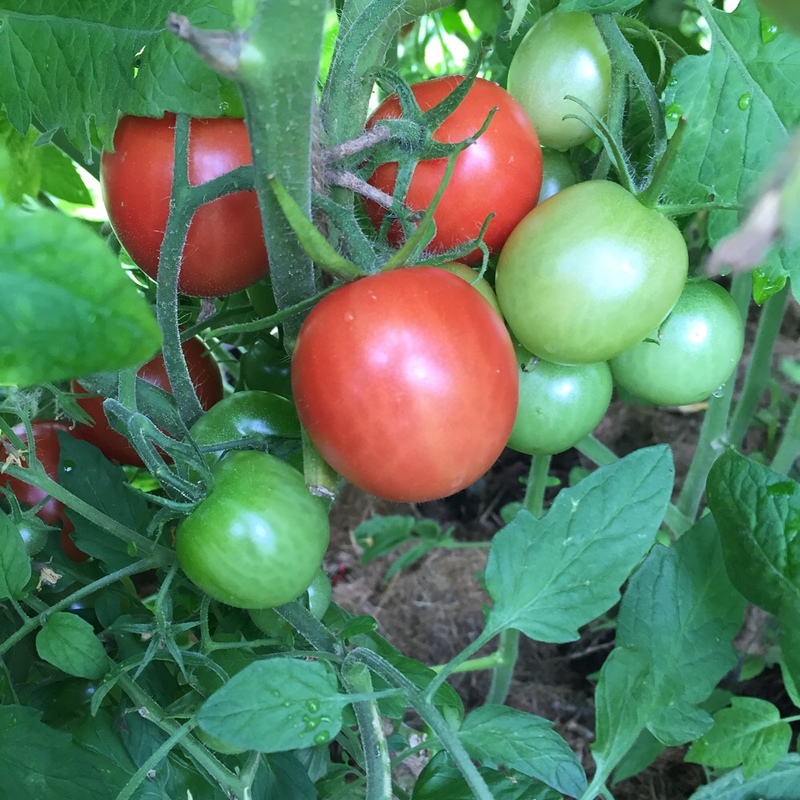 Your tomato plants look beautiful! I love to be out in the garden and pick the produce and eat it right there. Especially tomatoes! Yum! Thank you! I got the greenhouse from a local store, but I've seen i in different web shops. Google Palram Bella Greenhouse and you'll find it. It's my first year with a greenhouse and I'm amazed by how fast it grows. I will update again within a few days. Since our climate is cold, I am really looking forward to elongate the seasons (both autumn season and spring season). Greenhouse update! It has been growing like crazy in here! Cucumbers are flowering and some already has cucumbers. It's a jungle in there! Lol I think the tomatoes may need some pruning.. Lol.. But it looking wonderful in there! Those are some nice cucumbers! Oh wow! I'd love to have an attached greenhouse! At the moment, the current one is enough for me, but I think that I might start wanting another one as soon as the winter comes and I start the planning for next season.... What's your possibilities to build a greenhouse in your garden where you are now? Wow that is great news! 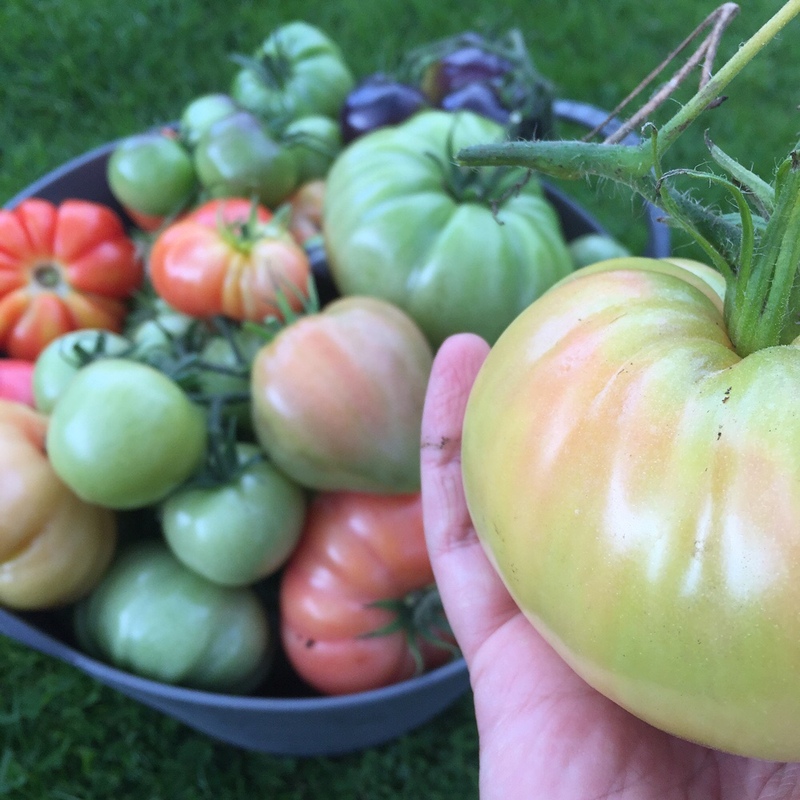 I have very big differences between tomatoes and cucumbers grown in the greenhouse and the outdoor ones. I would totally recommend a greenhouse. I'll add an update from my greenhouse in a few minutes. And this is what I came home to! Amazing! Tomatillo has been taking over the back side, and tomatoes and cucumbers are also growing like crazy! Cucumbers are escaping through the door! So I started to cut branches and prune harder. Had to get the greens away to allow the sun to reach the tomatoes. After about 40 minutes of pruning I found my secateurs in there! It took a while. These pics were taken in the middle of the process. Nice work though. Found a lot of tomatoes in there! This is good enough for now. I think it's enough for the plants to breathe! Time to pick all Tomatoes and remove the plants from the greenhouse. I do that to avoid getting late blight into my greenhouse for next season. The Tomatoes will ripen indoors. Where should I buy a Polytunnel?